The Cares Alliance is the exciting evolution of a vision started by Robert and Michelle Fischer in 2016 to create a 501c3 charity to serve Central Texas. The Fischers wanted a charity that his company could rally around to pour Christ’s love and tangible blessings into the community. Originally formed as RJF Team Cares, the charity provided financial donations to charities, missions, and individuals while bringing awareness to the different needs of those individuals and organizations. The mission was to be a force of good that highlighted financial needs and provided safe, secure opportunities to support those needs within the community. Robert was soon joined by others who shared his vision, serving as volunteers on The Board or coming alongside the RJF Team as a corporate sponsor. From the beginning, Luke and Mary Hawthorne with Emerald Lawns stepped up as a key partner and helped to substantially increase the direction and donations awarded to charity recipients and helped to host a very successful first annual fundraiser event. It was this early success and multiplying effect that inspired the formation and growth plan for The Cares Alliance. Imagine the community impact if more organizations were able to partner together to be that force of good in our community and yet benefit from membership in an established “charitable alliance” that would handle the bulk of responsibilities of nonprofit administration would all be handled for them. 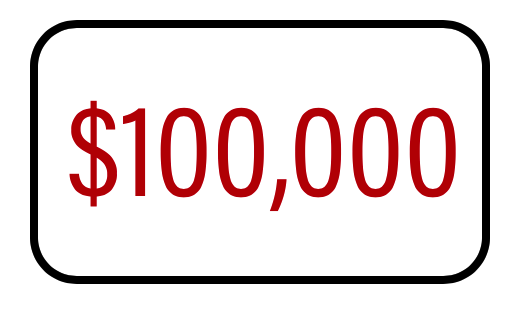 With over $100,000 in donations awarded since 2016, the potential community impact of The Cares Alliance is both humbling and exciting to anticipate! 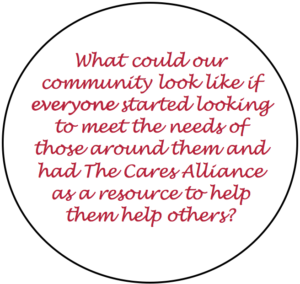 The Cares Alliance invites corporations, organizations, and most importantly residents of the community to join us in strengthening our community, together. As part of this mission, The Cares Alliance pledges a charitable donation (currently ~ $9,000 each voting period) to worthy charities, missions, local schools, or families in need based on the nominations and votes of the local community. We want to help to uncover needs and then act as the conduit for neighbors to help each other in ways big and small. Nomination periods are every other month with a community vote held the following month which helps create a constant community. Each nomination and voting period will be focused on a different vital sector of the community, including other worthy charities, mission groups/churches, local schools, or families in need.